Israel’s magistrate court in Occupied Jerusalem on Sunday decided to close the Aqsa Mosque’s Bab al-Rahma prayer area for 60 days. According to the Hebrew website Walla, the Israeli court decided to respond to a petition filed by the Israeli occupation police asking for closing Bab al-Rahma and its prayer area for security reasons. Last Tuesday, the Israeli police had closed the gates of the Aqsa Mosque, including the Bab al-Rahma, assaulted worshipers and expelled them from the Mosque after Palestinians allegedly threw a Molotov cocktail at a police post there, but later the holy site was reopened on Wednesday. Extrimist Jewish groups have repeatedly declared their intents to take over the Bab al-Rahma area and build a Jewish temple there as a prelude to taking over the entire Islamic holy site, which they call temple mount. Senior Islamic Jihad official Khader Habib has warned the Israeli occupation of persisting in its attacks on the Aqsa Mosque, saying it would pay dearly for its aggressive practices against the holy site and Muslim worshipers. Habib made his remarks during a sit-in staged on Wednesday by Islamic Jihad in Gaza in support of the Aqsa Mosque. “The Aqsa Mosque is a red line and any attack on its courtyards will trigger a massive fire in all parts of the world to defend it,” the Islamic Jihad official said. He warned that the recent Israeli escalation against the Aqsa Mosque is aimed at imposing new faits accomplis at the holy site and in Jerusalem. 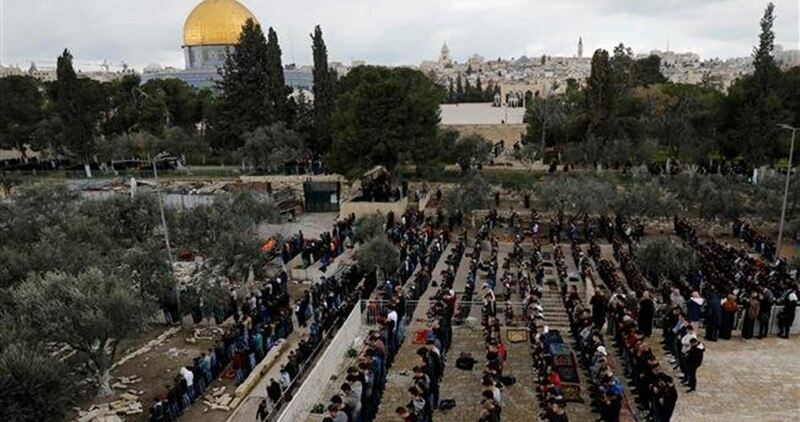 Jerusalemite youth groups have called for staging massive rallies in the Aqsa Mosque’s courtyards and the Bab al-Rahma prayer area on Thursday to defend them against intended settlers’ break-ins. The popular committee for the defense of the Aqsa Mosque and other Jerusalemite institutions also called on the Palestinian masses to march en masse to the Aqsa Mosque on Friday, March 15. 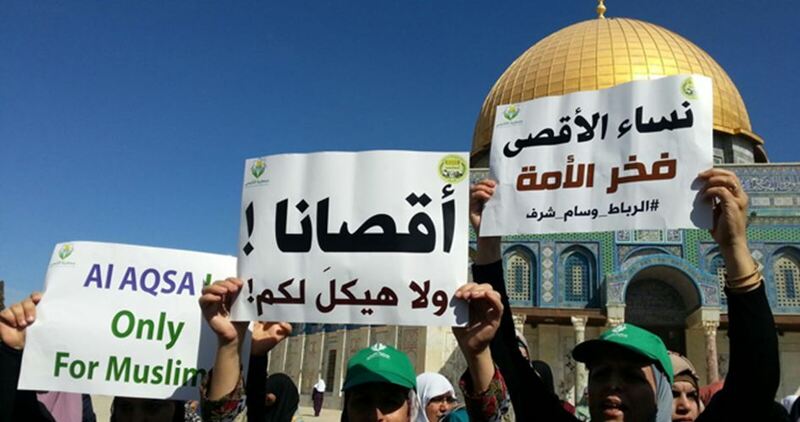 The Jerusalemite institutions called on the Palestinians to intensify their presence at the Aqsa Mosque to prevent any Israeli plan to impose new faits accomplis at the holy site. 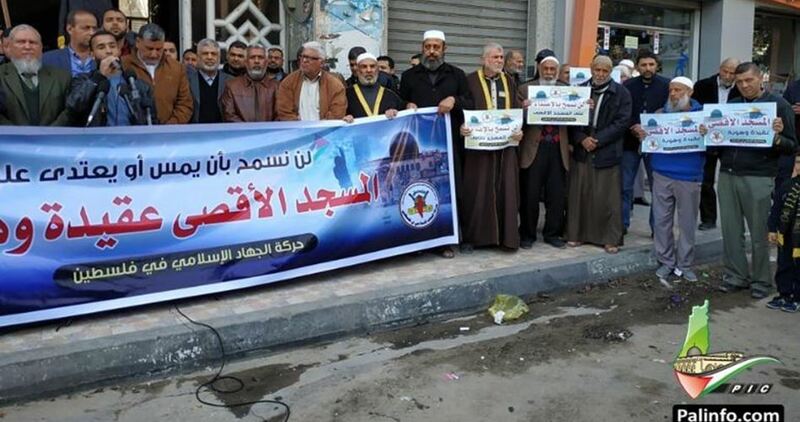 They affirmed that the Israeli police’s recent closure of the Aqsa Mosque and their assaults on Palestinian worshipers as well as the detention and banishment of many Jerusalemites would be confronted with more popular rallying around the Mosque. The Israeli police on Tuesday closed the Aqsa Mosque, stormed its courtyards, assaulted Muslim worshipers and prevented the holding of prayers inside it. They also arrested 19 Jerusalemites on Thursday.